I am lax about blogging everyday. I continue to notice things but lack the discipline, or inclination, to type them up every night. Ah well – I must slap my wrists, give myself detention, or even write out 100 lines. It might not do any good though as I have a long history of struggling with consistency. Even though I might not follow through and complete a post I still keep notes – and that will be today’s pleasure. 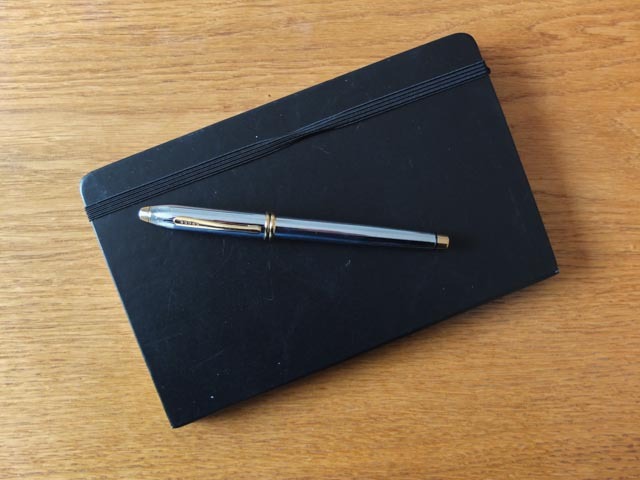 I like the sensation of writing with a fountain pen in a notebook. There is both the physical pleasure of a direct connection with the medium and the enjoyment of being deliberately anachronistic. I look around a coffee shop and almost everyone else is using a phone or a tablet and most times I am the only person with pen and ink. There can be pleasure in the old ways.